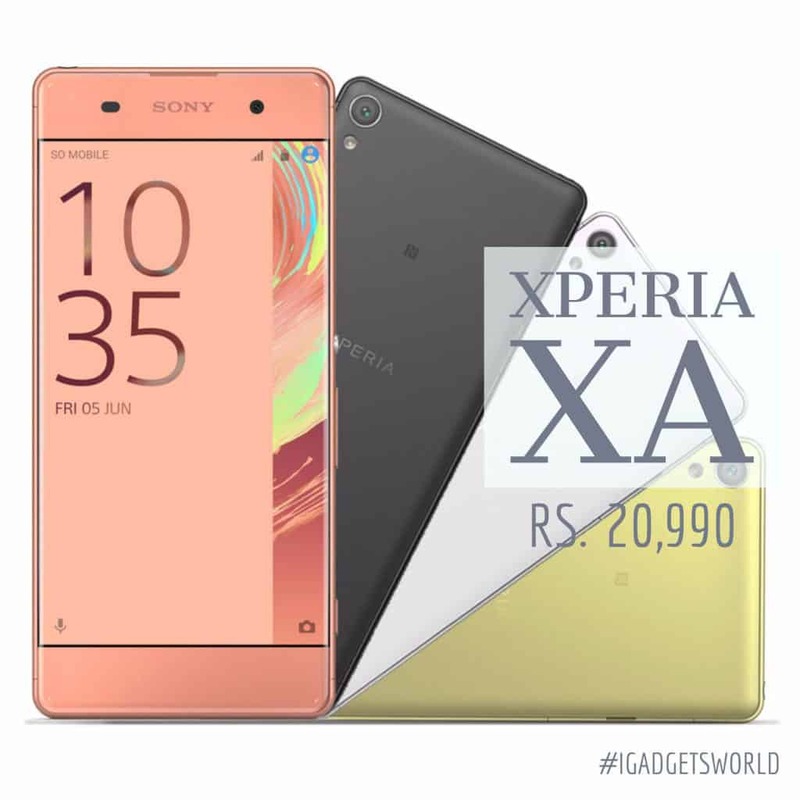 Xperia X & XA Launches In India With High-prices Again! Why the high-price tags for Xperia X & XA again? It is a well-known fact now that Sony has officially killed the Xperia ‘Z’ series & the company wants to pour more concentration on the high-end Xperia ‘X’ series. Making their grand launch on MWC 2016, Sony launched Xperia X & XA along with several connected devices. The all new ‘X’ series smartphones were already launched in Europe & other countries and it was yesterday, Sony made an official launch of Xperia X & XA in India. For now, the smartphones are exclusively available on Amazon & you can pre-order it. Before talking about the specifications & the new features, let me tell you about the prices. Well, the high-end Xperia X is priced at Rs. 48,990 whereas the mid-range Xperia XA is priced at Rs. 20,990. To be honest, the pricing of these phones are way more than expected. It is very common for the Japanese tech giant to price everything higher than expected, but the company has to see where the market is leading to. One of the main competitors, Samsung has both high-end & low-end devices with a merely same set of specifications & the company is known for keeping the best price tag. Well, it’s been 4+ years since the last Xperia smartphone made a positive sales impact, still the company is failing to keep a perfect price tag. The main reasons for killing the Xperia ‘Z’ series is unknown, but I feel the company wants to reboot their smartphone division for bringing more sales. Sony was known for launching many innovative devices & has been the very few companies to have big sales in the mobile market besides Nokia & Samsung. The company is also known for introducing feature-based phones like music edition (walkman series), camera edition(Cybershot) etc. Basically, all of these phones were on the high-price tag, still the consumers have shown interest only because of the 2 reasons. The primary one was there were very few phones which have the major specifications that the company was offering & the other was obviously the brand value. Now, the situation is different. Besides Sony, Nokia was one of the main competitors in world mobile market & everyone knows the reasons why the company had fallen from the sky, though the Finnish company is coming back again, but the success lies in pricing & attracting the users. For Sony, things are really different. The company had been experiencing low sales starting from the Xperia Z2 series lineup. It had seen a major downfall with Xperia Z3 & there were rumors speculated that the firm will shut down its smartphone division. But, the company head cleared this & indicated that the smartphone division will never be shut down. Though the company is performing very poor in smartphone division, the company was still in profits because of other ventures like camera, entertainment etc. This is the main reason why the company keeps on coming with the new smartphones. But, the pricing is a major factor which has become the main criteria for smartphones now. The users have evolved from brands to pricing i.e., they started searching for ‘Smartphones under 10K, Smartphones under 15K etc. from the best Sony smartphones’. Though there are still some users who show interest in buying the Sony smartphones, but they eventually shift to other smartphones, as the pricing for the same specifications is very low comparing to the Sony smartphones. 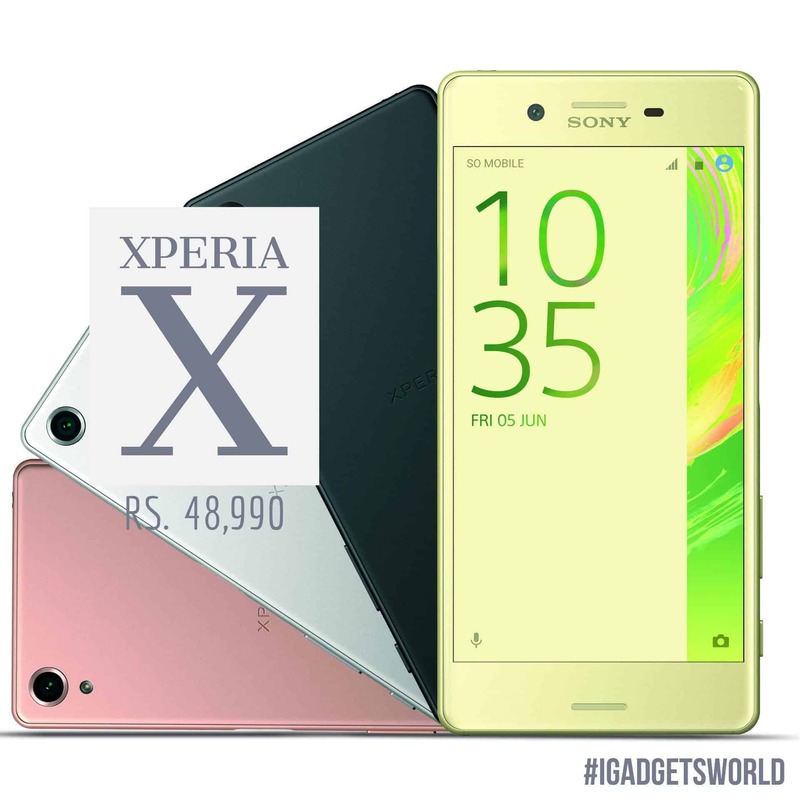 This is not the first time, that a Xperia smartphones are priced way beyond Rs.45,000. Starting from Xperia ‘Z1’ every smartphone in the Xperia series lineup is priced way more than 48K initially & later got the price cut. Coming to the Xperia X & XA, the flagships have got low specifications comparing to the main competitors like Galaxy S7 & S7 Edge, LG G5 etc. If we look at the specifications, Xperia X is powered by Qualcomm Snapdragon 650 Chipset while the Xperia XA is powered by MediaTek Helio P10 Chipset. [It is to be noted that, there’s a top-tier Xperia X version running on Snapdragon 820 which costs way more than 50K.] Both the phones are running on Android M v6.0.1 and have 5′ display. It seems the Xperia X high-cost factor is mainly due to the new display, GPU & a brand new camera while the so-called affordable Xperia XA seems to have an edge-to-edge display. Is it just me who thinks that these features have nothing to do with the pricing. Obviously, Sony is well-known for its display & the camera & I am very sure that the new Xperia lineup has got the same quality, but the pricing of these smartphones are way beyond a common user can afford. There are several other smartphones which have decent display & the best camera within a price range of 15K & I see no reason why a user can go with the alternatives instead of the Xperia X & XA. Again, the new Xperia smartphones won’t show any positive impact on the sales, but I am very confident about the performance of these smartphones. Anyhow, coming to the pricing & availability in India, as already mentioned, you can pre-order Xperia X from Amazon & the shipping starts from 7th June onwards. For Xperia XA, you still have to wait up to the third week of June. Let’s see how the sales will work for the Xperia X & XA. This is just my opinion, let me know about yours!